While the holidays are a time for fun and joy, they can also be a dangerous time when on the road. Weather conditions can make driving more dangerous than normal and cause a winter car accident in Charlotte, North Carolina. Besides the weather, you also need to be aware of distracted drivers and drivers that are under the influence. They pose risks to you and your family when driving during the holidays and could cause a winter car accident, as well. If injured because of the negligent actions of another driver, you need a car accident attorney in Charlotte, NC, to help you with your case. They can help you get compensation for your injuries as well as any property damage. Traveling during the holidays? Reach out to Brown Moore & Associates if you get into a winter car accident. Slow down: Ice and rain can make roads slick, so you need to take it easy when driving in severe weather conditions. Slow down when the weather is poor and watch for drivers that are going too fast. 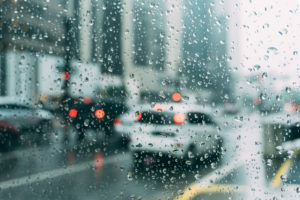 While it may be tempting to speed to make it to that holiday party or reach the store before it closes, taking your time when the weather is bad could help you avoid a winter car wreck in Charlotte, NC. Avoid tailgating: Everyone is in a hurry during the holiday season. There are a number of things to get done and your time is spread thin. This doesn’t mean you need to drive recklessly and tailgating another driver is a sure way to get involved in a car accident. Tailgating can cause you to hit the car in front of you by not giving yourself enough time to brake. However, if you are involved in a car wreck because someone was tailgating you, discuss your case with a automobile accident attorney in Charlotte, NC, as you deserve compensation for any injuries or property damage that resulted from the crash. Prevent distractions: With shopping, holiday parties, and meals to prepare, it can be easy to get distracted during the holiday. You may find yourself daydreaming about what to cross off your “to do” list next or answering texts while driving. In addition, you are more likely to have other passengers in your car as you travel, which can easily distract you from the roadway. Even so, it is important that you keep your attention focused and keep digital devices out of reach. The more effort you put into limiting your distractions while driving during the holiday season, the less likely you are to get into a winter car accident caused by distracted driving. Watch for impaired drivers: The holidays are prime time for parties, which means there are likely more people on the road who are under the influence of drugs or alcohol. Watch for drivers that seem impaired and make sure to stay a safe distance away from their vehicle. Do not try to pass them as they could swerve into your lane. If involved in a car accident with an impaired driver, a car accident attorney in Charlotte, North Carolina, can help you get compensation for your injuries. How Long Do I Have to File a Lawsuit for a Winter Car Accident in Charlotte, NC? If you have been in a wreck, then you need to consult a lawyer quickly. According to the statute of limitations, you only have a limited amount of time to file your lawsuit. For lawsuits where injuries are involved, you have three years from the date of the accident to file your case. For lawsuits where property damage is involved, you also only have three years from the date of the accident to file your suit in the appropriate court. When death occurs as the result of a winter car accident in Charlotte, NC, you only have two years from the date of the death to file a lawsuit. For this reason, it is imperative that you speak with an experienced Charlotte car accident attorney immediately after the automobile collision. Your attorney will help determine your legal rights and provide a plan of action for your car accident case. When involved in a winter car accident in Charlotte, North Carolina, you need a lawyer that will support you in your case. The attorneys at Brown Moore & Associates, PLLC will fight for your rights to compensation and help you get a fair settlement, recovery or jury verdict. We know the law when it comes to car accidents and will guide you through the legal process for your suit. Contact us today to set up a consultation.